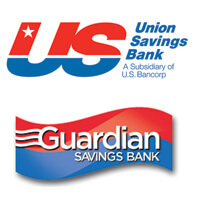 Taylor Advisors began working with Union and Guardian Savings Banks (Cincinnati, OH) in the 1st quarter of 2012 in the area of balance sheet management. The banks were operating an ALCO process that could benefit from enhancements, including new tools and reports, to revamp and better document the process. Other areas for potential improvement included utilizing ALM reports as a management tool instead of simply for regulatory appeasement and formal ongoing training/education in interest rate risk and balance sheet management.